This is going to barely be a race report. I find myself too busy to write very much or very often. 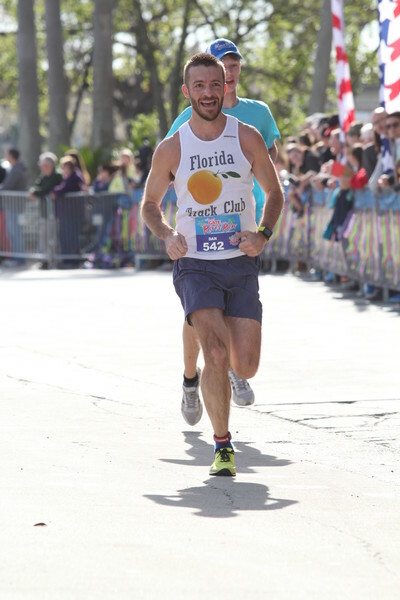 I rode the Florida Track Club bus to Jacksonville on the day of the race which was a great way to travel so early in the morning and not have to worry about parking. The bus parked inside the event grounds, very close to the registration area and post-race festivities. 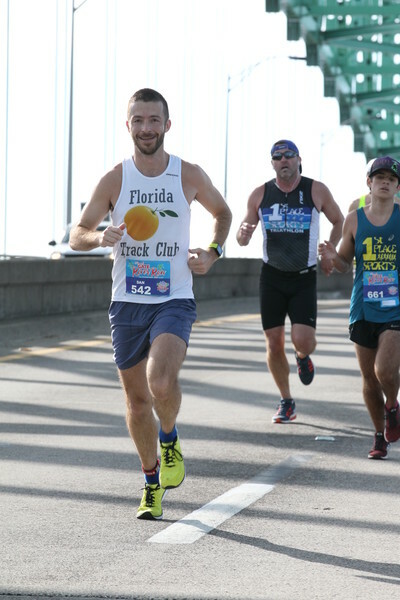 I was not in top shape for racing, still fighting with some unhappy muscles / tendons here and there, so I planned to go out conservatively to see how I felt. 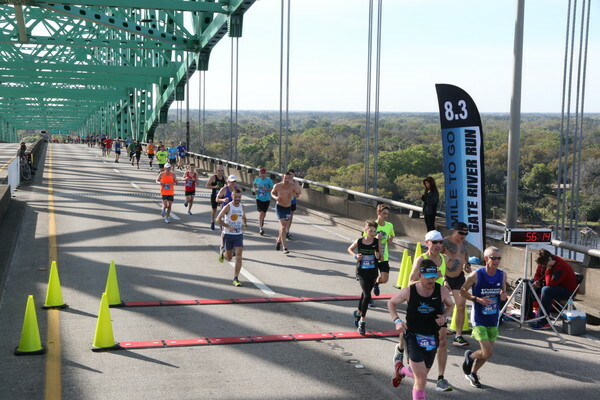 This strategy worked well, I was able to keep my pace consistent throughout the race, push all the way up the Hart bridge and right over the top and have a very strong final mile. My final time was 1:01:53 (avg. 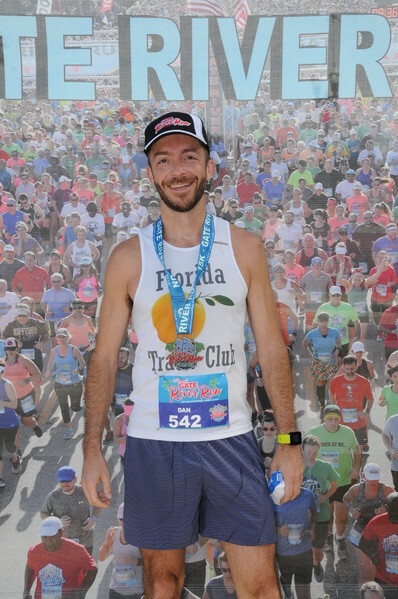 6:38 per mile) which was good enough to earn a Top 10% finisher hat.